Matthew W. submitted this photo and caption. 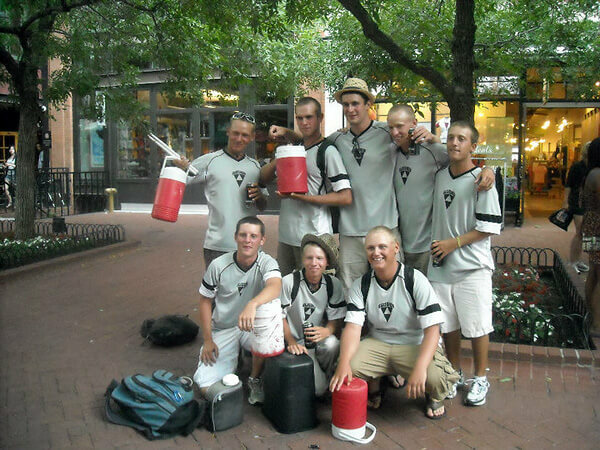 This is a photo of the Glassmen snare line this past summer in Boulder, Colo. We had a free day to walk about Pearl Street and saw a lot of street performers. After some discussion we decided we too should perform on the streets! This is the aftermath of two hours of broken sticks, busted water jugs, and a lot of smiles. The only performance we enjoyed more was Finals in Lucas Oil Stadium.